Wait, What? Hockey in Iran!!! Wait, What? 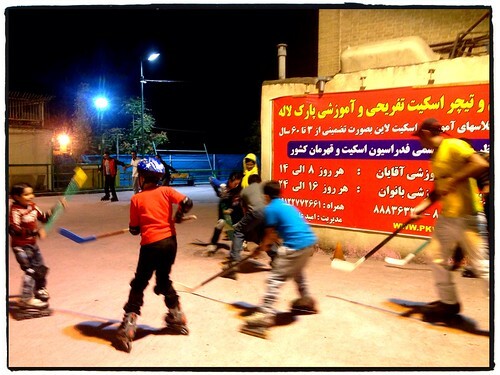 Hockey in Iran!! !, a photo by tf_82 on Flickr. It was a cool Octo­ber evening and the kids were play­ing Hockey in the park. This entry was posted in Iran, Street Photos on 17 October, 2013 by Tim Fisher.